In the flooring removal industry, there are many options out there. Everything from manual scrapers to large Ride on units. When thinking about which one would suit your business it is important that you know what the key factors to consider are. Sometimes, rental houses, dealers and end users look at the wrong features and end up with a Walk Behind Floor Removal Machine that isn’t exactly what they need. In the article, we will look at a few key features. When it comes to Walk Behind Scrapers, there are 2 types of drive options. Either manual or self-propelled. Manual units are exactly what you think they would be. Moved by the operator, similar to pushing a lawnmower. These units are usually much cheaper and simple to use. The downside of a manual floor scraper is that they cannot remove many types of flooring. In some cases, this is not a problem because of the type of jobs you may be using this on. If you plan on taking up materials such as VCT or carpet tiles, a manual scraper will be a perfect fit. You should be able to pick these up fairly cheap in relation to a self-propelled floor scraper. 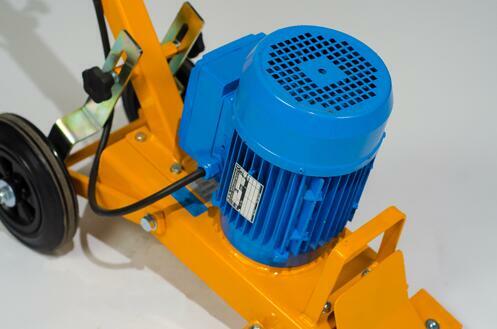 The other drive type is self-propelled scrapers. 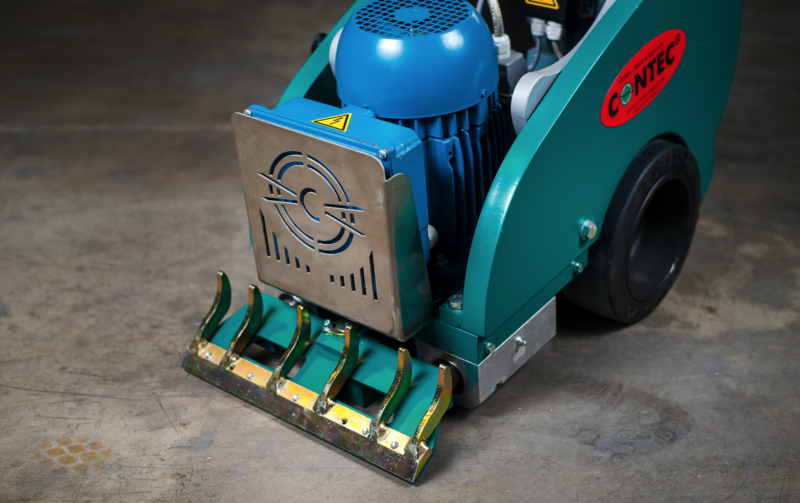 They are usually driven by an electric motor so that the scraper can power through tougher flooring such as ceramic tile. These scrapers are normally for more professional contractors or DIY users who are looking to take up tougher flooring. Are the self propelled not also geared for Rental? Different flooring types need different tools to remove them. Many Walk Behind Scrapers have multiple tools that can be attached to them, depending on the what you are taking up. This is an important aspect to look at before you buy because many of the attachments are not able to go on different machines. If you end up purchasing a machine that can’t utilize the correct attachments, you will not be able to take up certain types of flooring. These tools are changing all the time. Make sure that you go with a company who has a team that works on this kind of stuff. You will be able to add tooling to your machine as it is produced by the manufacturer. Depending on the reason you’re buying a floor scraper (Rental, distribution or contracting) production rate can be a big factor to consider when buying. If you are in rental, it is important to identify who your target market is for this equipment. If your target market is mainly contractors, invest in a unit that has high production rates. If your target market is more DIY users, it’s not as much of an issue. 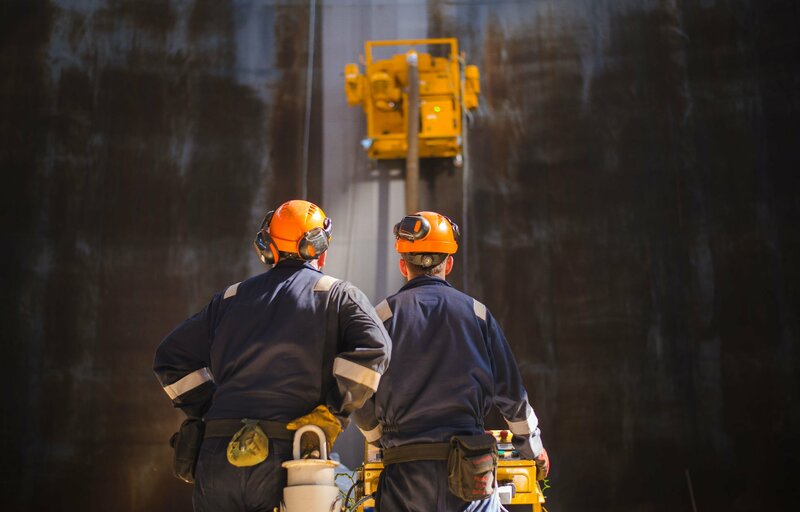 As a contracting it’s all about production rates. The best way to make more profit on jobs is by having equipment that can increase your speed. When comparing productions rates of walk behind floor scrapers, don’t just rely on the manufacturers documented rates. Ask around. Find other people who have or have had these scrapers and see what the real life production rates are. There is nothing worse than buying a scraper based on listed production rates to find out it was less than realistic. If you make sure you compare these few important elements, you will get a walk behind floor scraper that suits your needs resulting in great ROI and profit for your company.